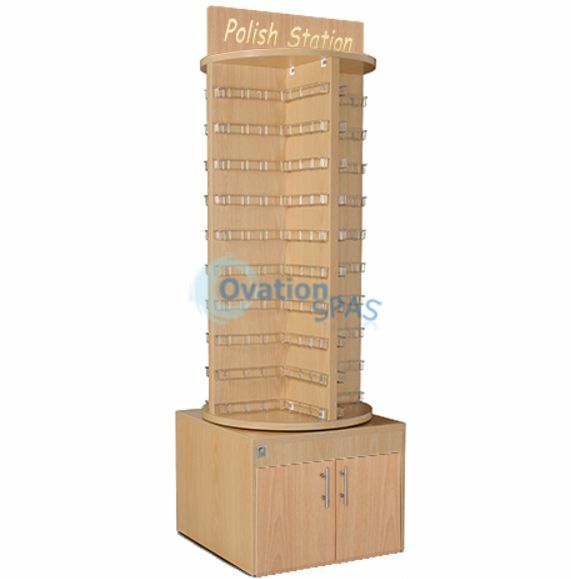 MADE IN USA - Display and organize your polishes in this stunning 360-degree spinning rotary polish rack. 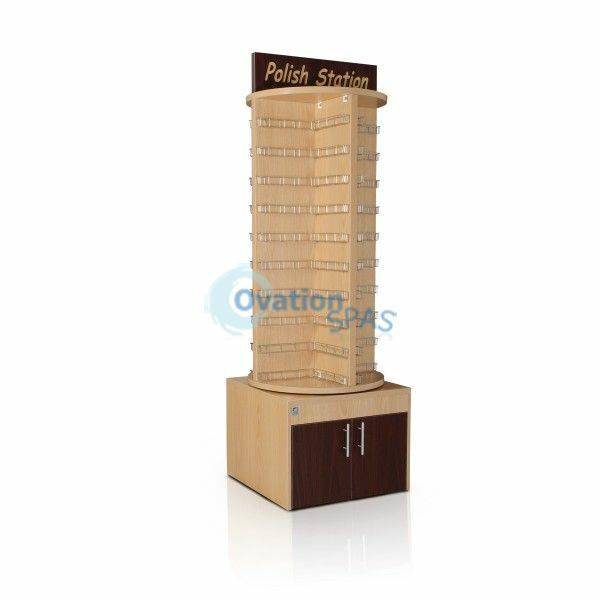 Bottom cabinets are great for storing extra polish and salon supplies. Our newest addition to our IMC Furniture Collection. Modern style with perfect functionality. Holds up 600 bottles of polish, Can be moved and rotated with base wheels.